Mercury reflector lamps offer all the benefits of standard mercury lamps, while adding two significant benefits. Firstly, the lamps provide good optical control without the requirement for expensive luminaire reflector systems. Secondly the optical performance is not compromised by the build-up of dirt on the upper part of the lamp, or corrosion of the reflector as is the case with conventional luminaires. With each new lamp comes a new optical system and there is, of course, no need for expensive cleaning maintenance of the luminaire on a regular basis. 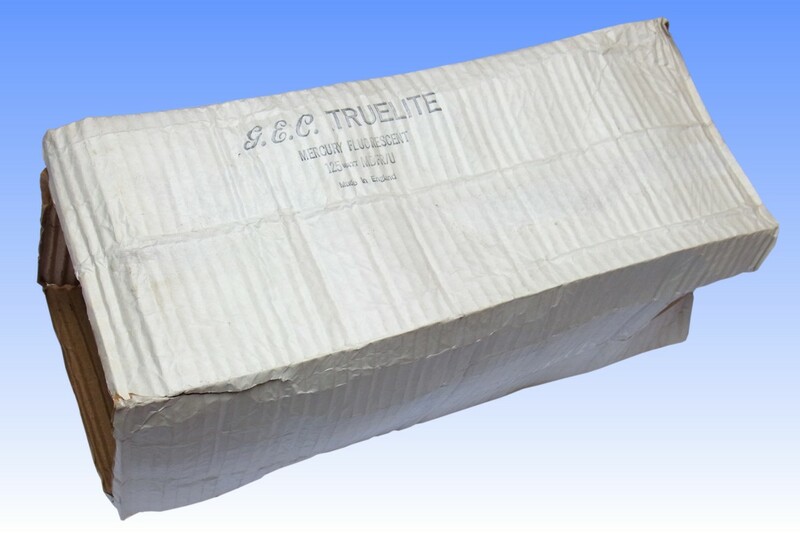 The light reflective layer consists of a coating of titanium dioxide powder, which is first applied to the bulb before overcoating with the usual yttrium vanadate phosphor. The GEC Toplite lamps offer several features vs competitor designs. 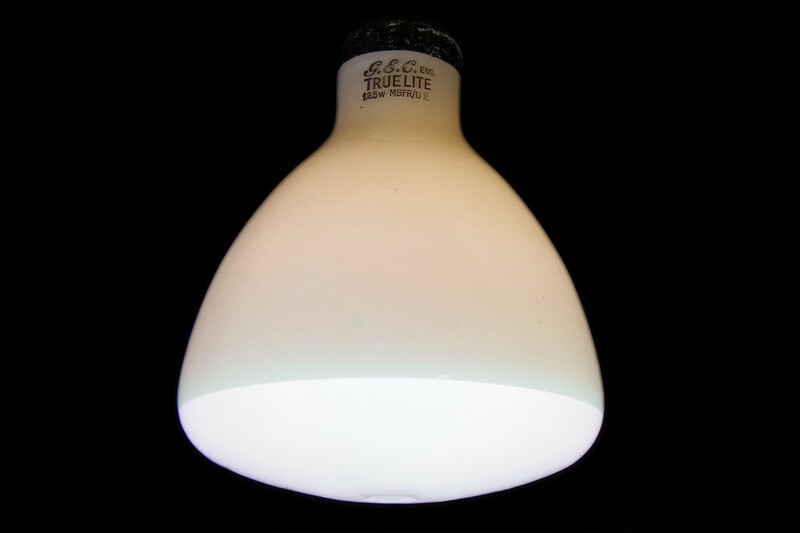 Firstly and most noticeably, the company took the trouble to develop a special bulb shape for this 125W lamp. 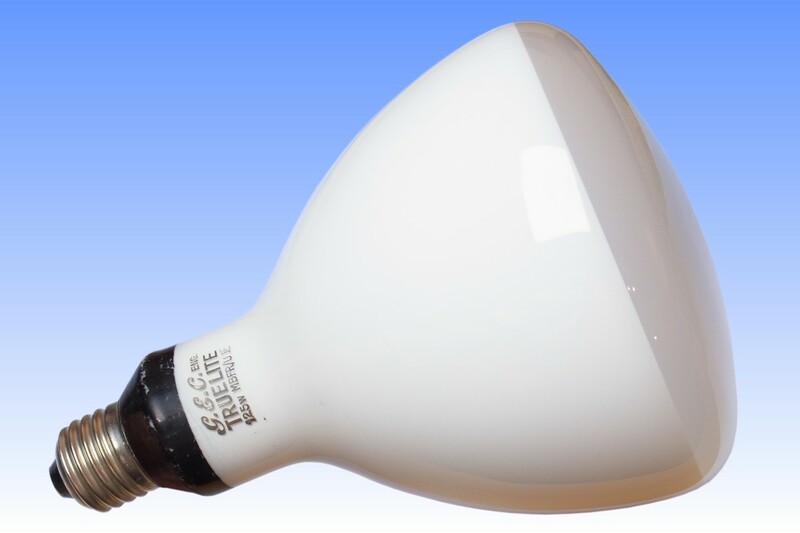 Whereas others use the standard reflector bulbs intended for incandescent lamps, GEC modified the shape to work more efficiently with the longer light source of the mercury arc. This delivers a narrower beam of higher intensity. Secondly, the glass bulb is internally acid etched, rather than leaving the front window clear. 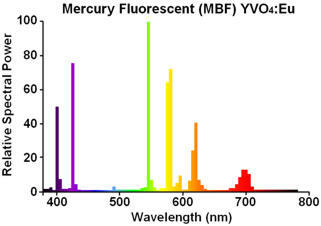 This better homogenises the different colours of the light from the arc and the phosphor coating in the beam. 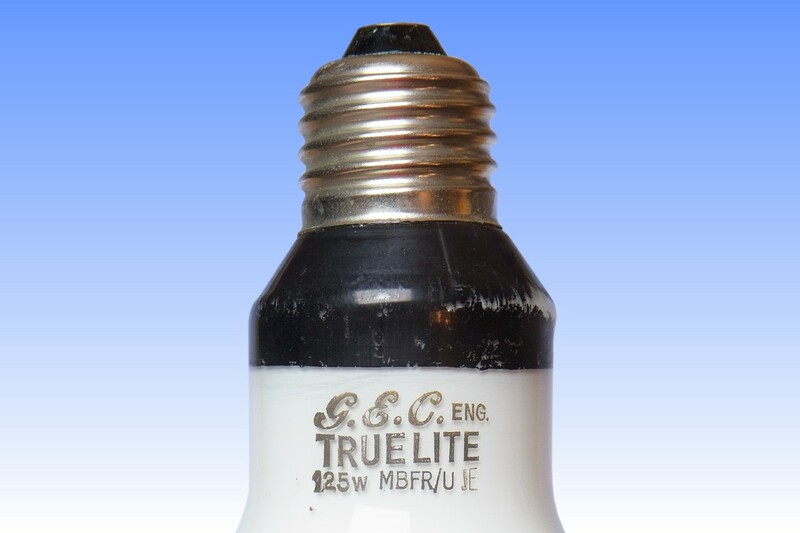 Some competitor lamps were also acid etched, but when using the standard bulb shapes this resulted in a wide and low intensity beam. Lastly, the neck area of the lamp has been painted black so as to block upward light and prevent the projection of insightly rings of light onto the ceiling. Manufacturer: The General Electric Company of England Plc.